Here at Compassion Canada we are busily preparing for Christmas. It is the most exciting time of year for us as we envision what awaits the nearly 2 million Compassion-assisted children. We know how important it is for children and their sponsors to share in Christmas celebrations—even though we live so far apart. With the many possible questions surrounding Christmas at Compassion, we thought it may be helpful to answer several of them in one place. 1. When do I need to send my card so it gets there in time for Christmas? Our normal letter delivery timeline is four to six weeks, but with Christmas being a busier time for mail delivery, we recommend you mail your cards and letters by the end of October. We will do our best to see that your child receives this important mail in time. You are welcome to send a card of your own, or you can choose from several options available in your My Compassion account. Sending a card online will also reduce the delivery time! If you’re looking for ideas, check out these tips to write a great Christmas card to your Compassion child. 2. What can I send to my Compassion child? The guidelines for what to send at Christmas are the same as year-round. Because of customs regulations and unpredictable mail service in other countries, we are limited to sending paper items—no larger than 8½ by 11 inches. Some items you may send are photos, greeting cards, stickers, bookmarks, postcards, colouring pages, booklets, small calendars, Scripture cards, decorative writing paper, paper dolls, and paper planes. If you choose to send an item for your child, please ensure you write your supporter number and the child number on each piece so we can ensure your child receives it. 3. Does my donation to the Christmas Gift Fund go directly to my Compassion child? Christmas is one of the most special times of the year for children. 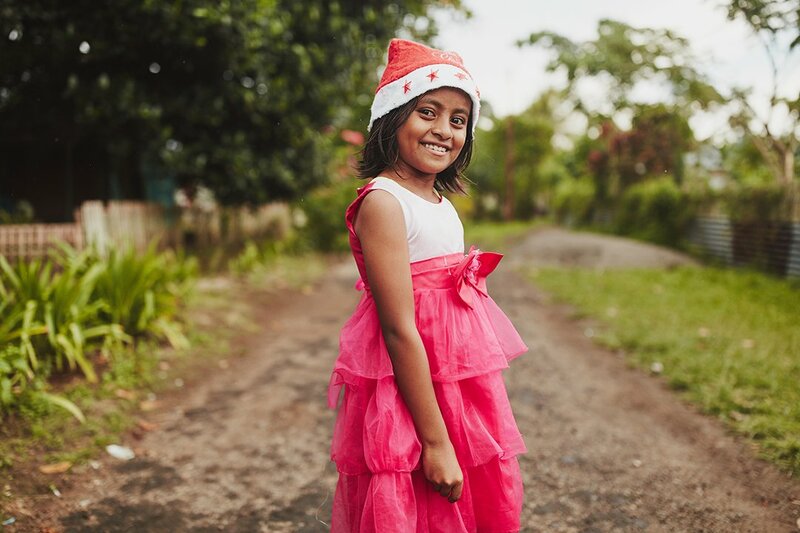 For many of them, Christmas may be the only time of year they receive a gift, so Compassion’s desire is to put a gift in the hands of every child we serve. Compassion International pools Christmas Gift Fund donations from around the world and equally distributes them to our church partners. 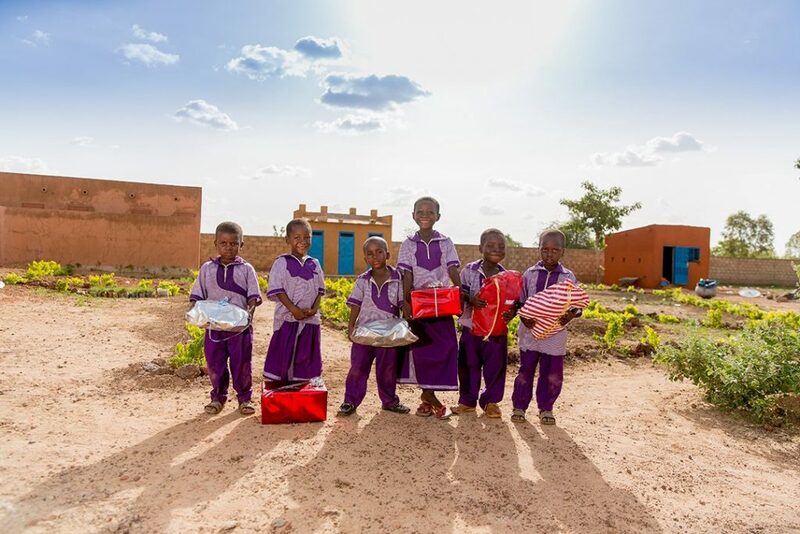 This ensures every Compassion-assisted child receives a gift—including those who may not have a sponsor yet or those whose sponsors are not able to donate. If you sponsor more than one child and have elected to have an automatic withdrawal from your account for the Christmas Gift Fund, you will notice that we withdraw a single donation because it goes to the Christmas Gift Fund for all of the children in Compassion’s program. 4. When is the deadline to donate to the Christmas Gift Fund? It may seem confusing, but the deadline to donate to the Christmas Gift Fund is the end of December. Compassion sends funds to our church partners well in advance of Christmas so they have time to purchase gifts for all of the children. Compassion estimates how much will be raised in hopes that our sponsors’ generosity will meet or exceed that number. If the donations for a given year exceed the expected amount, we will simply put it towards next year’s Christmas Gift Fund. 5. What do the children receive as a gift? The staff at each child development centre purchase age-appropriate gifts for each child. The exact gift varies by country and the context of each community and child. The Compassion centre staff will shop within their community—stimulating their local economy—to find tangible goods to bless the children they love and serve throughout the year. The gift may include practical items like shoes, clothing, blankets or toiletries, or fun treats like colouring books, dolls, action figures and toys. 6. Can I still send my child an individual gift? Yes, you may still choose to send a present to your child (as a child gift or family gift), but our request is that you wait until after Christmas to do so. We ask this to avoid feelings of jealousy among the other children. 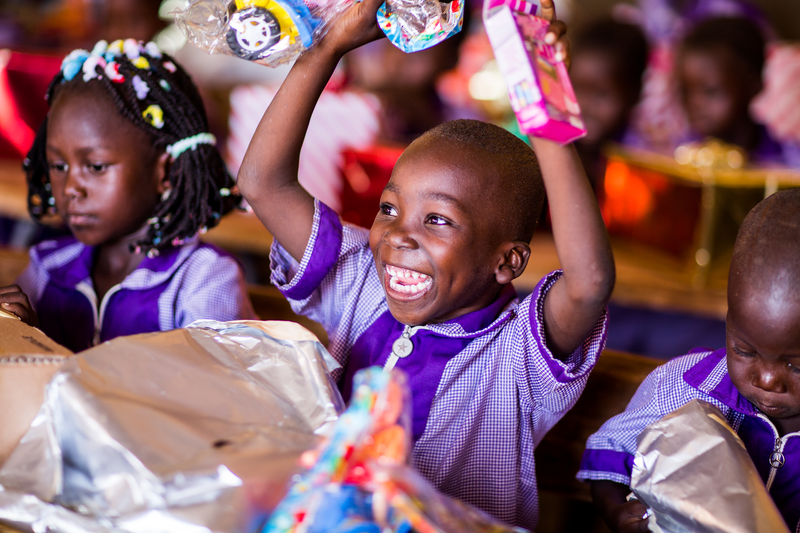 Each child will receive a similar present—from the Christmas Gift Fund—and if your child were to receive extra, it may distract others from the joyous occasion. Our hope is that the focus remains on the group’s Christmas celebration. Feel free to bless your child with a financial gift any other time of year, such as for their birthday or at the end of school. 7. How do Compassion centres celebrate Christmas? 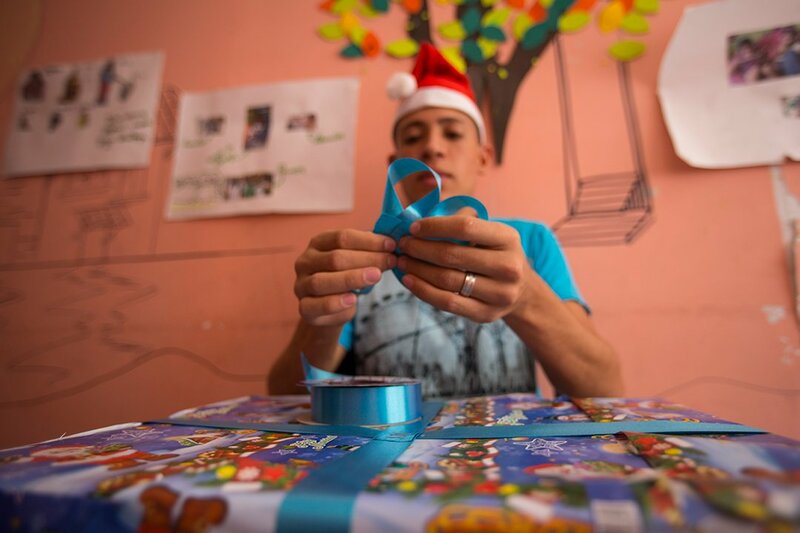 Many of the families Compassion serves are unable to celebrate Christmas with decorations, meals or gifts. 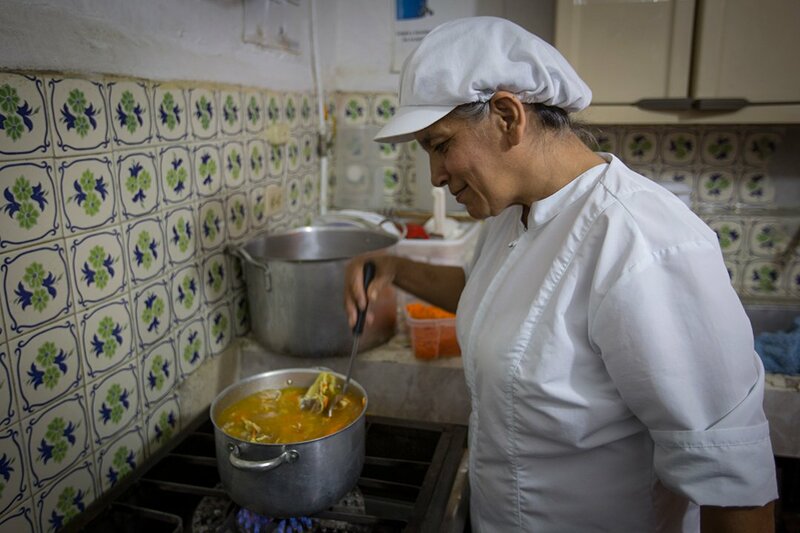 Often, parents have to work to provide a daily meal to their family, so the day passes like any other day of the year. The Compassion centres do all they can to make Christmas special for the children. The staff put a lot of time and attention into making children feel special and loved throughout the year, but even more so at Christmas. Each child development centre will host a party with a feast, gifts, songs, dances and, of course, a presentation of the Christmas story. Children—and often their siblings and parents—wait all year for this event. They are reminded of the love and joy found in Christ and feel the support of their church, the Compassion centre staff and you, their sponsors. We hope this helps you envision what your Compassion child will experience at Christmas. 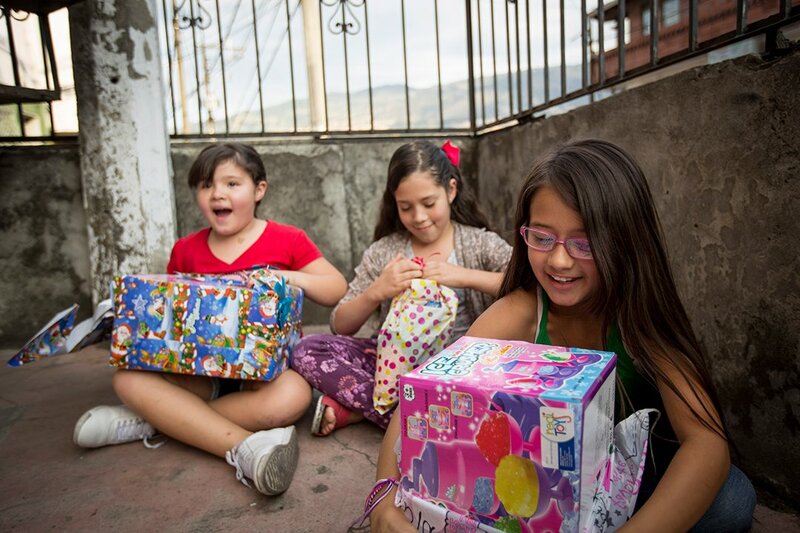 Thank you for partnering with Compassion Canada to make Christmas special for children living in poverty! If you have other questions, get in touch with us by email at info@compassion.ca or by calling our Contact Centre at 1-800-563-5437. Make sure each child gets a gift this Christmas; give to the Christmas Gift Fund. Devon Cornelius is the Project Manager for our Marketing team at Compassion Canada. When he isn't gardening or experimenting in the kitchen, he loves helping others discover their God-given potential.